Delivers 24 Highway MPG and 17 City MPG! This Volkswagen Atlas delivers a Regular Unleaded V-6 3.6 L/220 engine powering this Automatic transmission. TOWING PACKAGE -inc: Factory installed trailer hitch w/5,000 lbs, towing capacity,, TITAN BLACK, V-TEX LEATHERETTE SEATING SURFACES, RUBBER MATS KIT - BENCH SEATS -inc: set of 4 Monster Mats w/logo, Heavy Duty Trunk Liner w/VW CarGo Blocks. *This Volkswagen Atlas Comes Equipped with These Options *PRIVACY COVER -inc: tonneau privacy cover for cargo area, DEEP BLACK PEARL, Window Grid Diversity Antenna, Wheels: 18 5-Spoke, Vw Car-Net Selective Service Internet Access, V-Tex Leatherette Seating Surfaces, Valet Function, Trip Computer, Transmission: 8-Speed Automatic w/Tiptronic, Transmission w/Driver Selectable Mode. 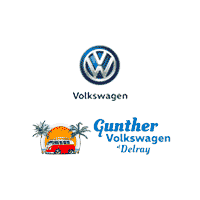 * Stop By Today *Test drive this must-see, must-drive, must-own beauty today at Gunther Volkswagen of Fort Lauderdale, 1660 S State Rd 7, Fort Lauderdale, FL 33317. We appreciate your interest in our inventory, and apologize we do not have model details displaying on the website at this time. Please fill the form out below and our team will quickly respond, or, please call us at 561-513-5243 for more information.